One quick question about "RttFF Tree Base Single"
Assuming it is exactly as the name says, is the surface flat to attach the tree too? All of the files I downloaded are on my computer at home, and I'm stuck at work, but if I remember correctly, that file is a flat hex with, I believe, a 2mm rim to interlock with the raised center of a Heroscape tile. 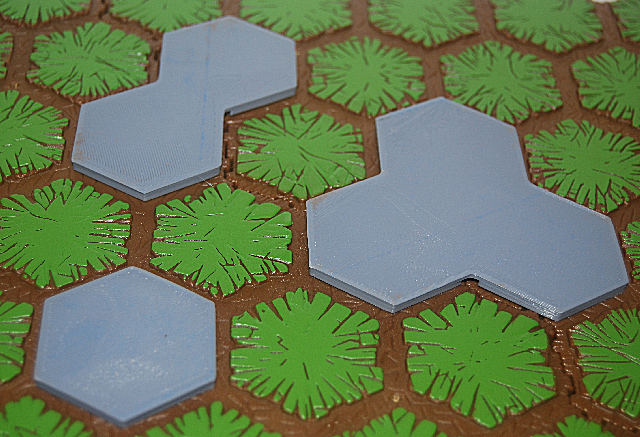 Yes, it is flat with a rim to interlock with the Heroscape tile. If you need something else, I have a 3D model that is easy to modify. Thanks, that should do it I think. I have a friend in france who is a whiz at this, and getting him to build what I need on top of that blank hex is going to be a lot easier than trying to describe to him the exact dimensions needed without calipers handy for the base as well. Sadly, while I do dabble in graphic design as a hobby, my 3D skills are non existent outside of sketchup and even that is minimal. Havent touched it since 2009. If you want the measurements, too, I took my calipers to the base of a one-hex tree; the outside dimensions are 41.35mm face-to-face, 47.74mm between opposite corners, with a side of 23.87mm; the lip is 1mm thick and about 1.5mm deep; the whole base is 3.2mm tall. 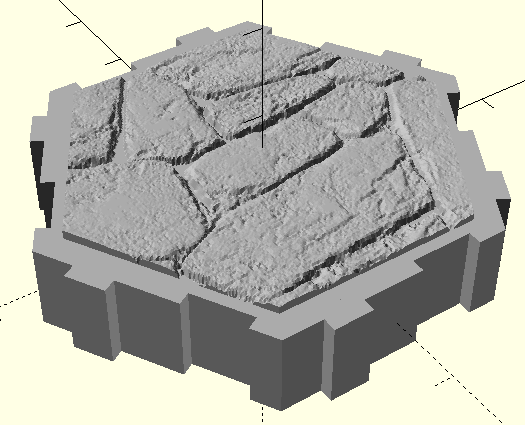 How much effort would go into just printing out a one hex evergreen tree base. Not the tree part, just the base. 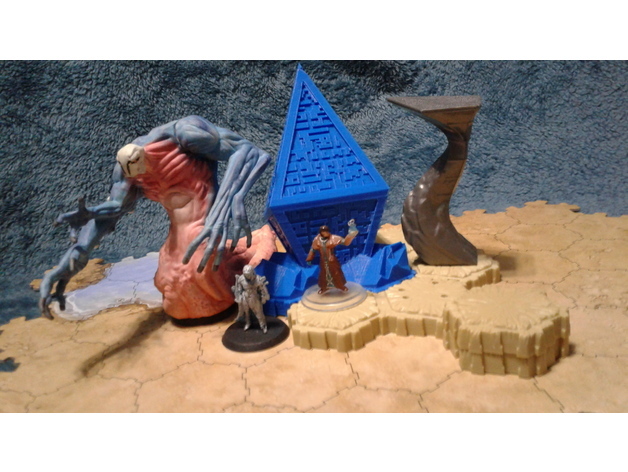 I molded some of these out for some custom terrain I'm working on, and I'm just curious how much one would be to make. It would be made so you could attack something on the top of it to lock onto the top of a hex tile. Now that I'm starting to accumulate designs, I should add them to the index. I've also got a four-hex straight tile that I worked up after I built a two-hex tile, but I haven't got that uploaded yet. More designs to add to the index. They have been added and I already downloaded those waterfall files. It just might take me a while to getting around to actually try printing one but I'll be sure to share some pics once I do. 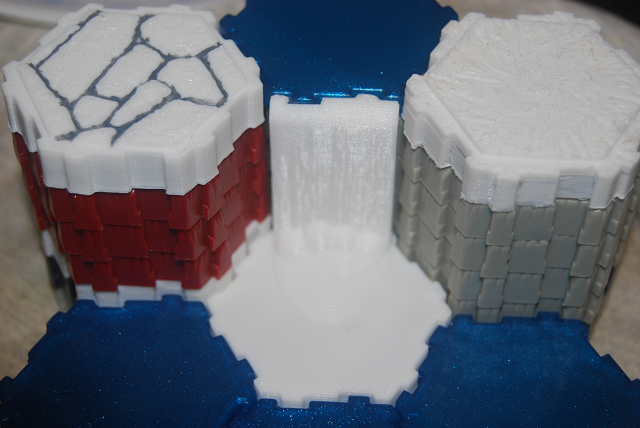 I expect to print some waterfall soon, but won't be able to compare it to heroscape tiles until I finish painting some minis. With the library of models that we're accumulating, do you think we should have this thread stickied so that it remains on the first page where people can see it? Hex Tile, a customizable tile generator -- you can generate nine different tile layouts from a single hex to a seven-hex circle, either as ground or water tiles, and the ground tiles can have a user-generated custom texture for the raised center tile face. 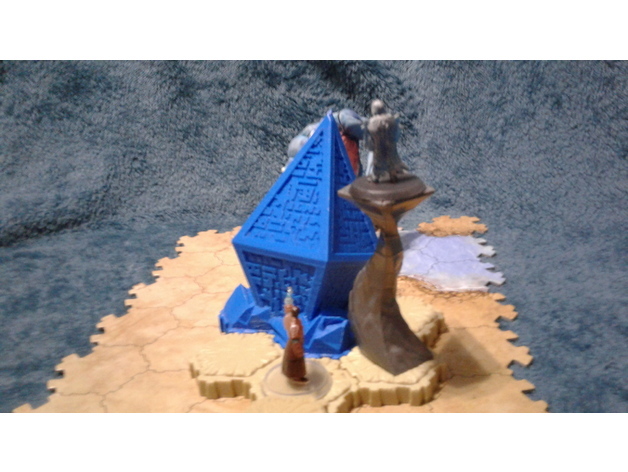 Hex Terrain Object Bases, a customizable generator that will create nine different layouts of object base (the same set as the Hex Tile customizer) that will sit on the raised faces of Heroscape hexes. 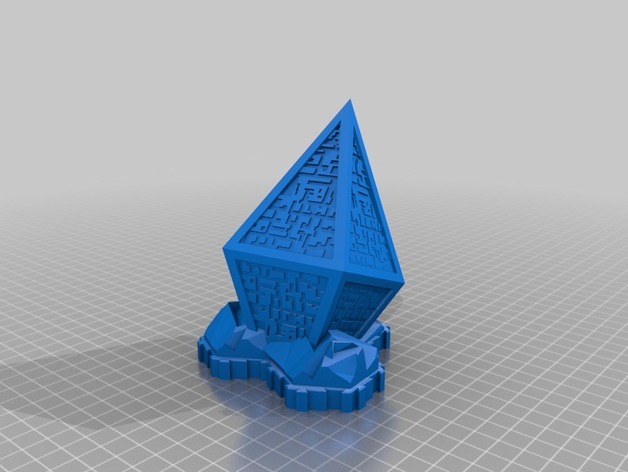 The full Zendikar Hedron 3D Model and images can now be viewed on Thingiverse using Thingiview. 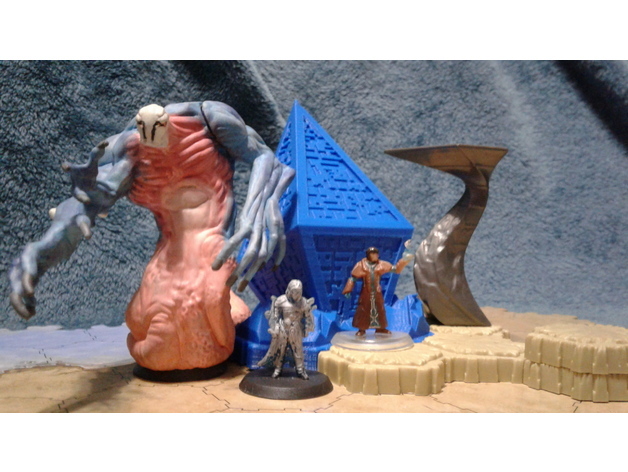 You can order a print from 3d hubs or other sites price will vary based on your location.